Rebble is an organisation that’s providing free web services and software – there is also a subscription for some features – that will increase what you can do with a Pebble smartwatch now that Fitbit has ditched them. 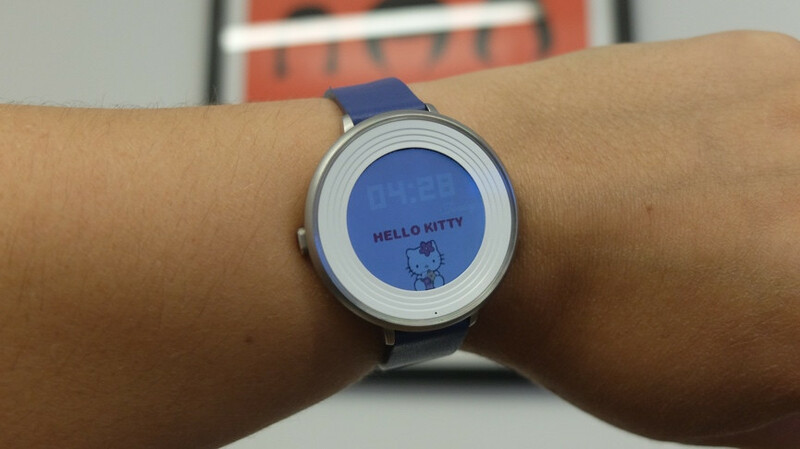 Rebble was set up by ex-Pebble developers and Pebble founder Eric Migicovsky is a fan. The idea is to try to re-instate features that were lost on 19 July. Your Pebble watch will still work now the servers are shut, but unless you switch to Rebble you will have to wave bye bye to features that require the cloud support Fitbit has kept open for longer than it had initially promised. 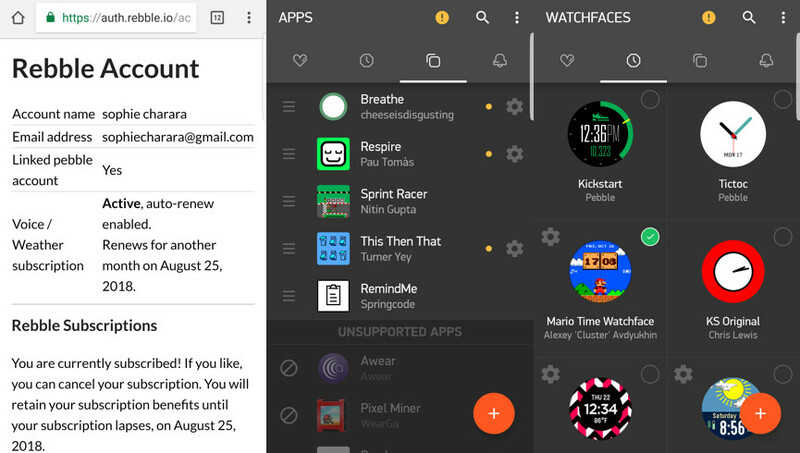 So features like voice recognition support, SMS and email replies, Timeline pins from third party apps and access to Pebble’s app store and forum will be gone. 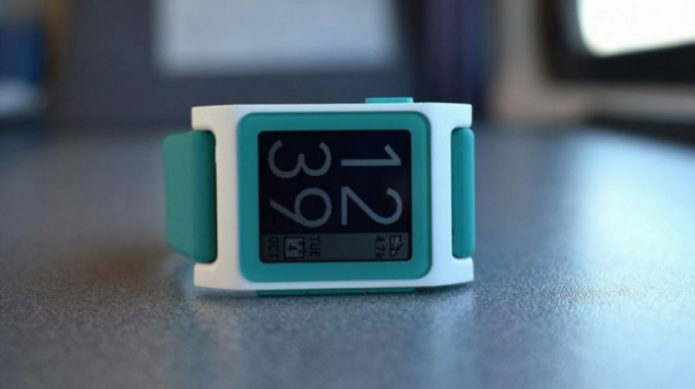 Rebble was set up around the time that Pebble decided to cease operations. The essential aim was to keep the platform that powered many of its services and features live through the help of Pebble developers and enthusiasts. In February 2018, Rebble announced Rebble Web Services, its solution to keep core elements of the Pebble ecosystem live including offering an app store, firmware updates and the ability to create mobile apps. The hope was to get as many of the services as possible live in time for the Fitbit server shutdown. 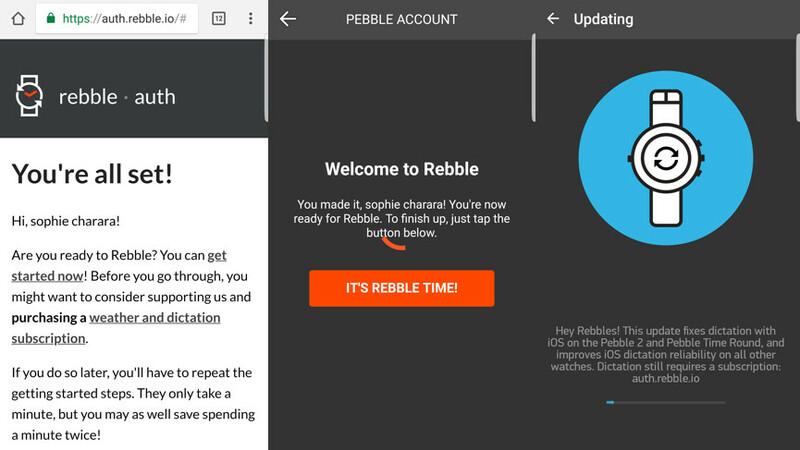 Now, the service is up and running it is simply a case of clicking a link on the Rebble website from your phone to switch over from Pebble to Rebble services and it works with existing iOS and Android companion Pebble apps. That should mean there’s nothing additional to download or install to make the switchover. There may be some firmware updates issued to make things go over smoothly, but these install automatically. If you linked your Pebble and Rebble accounts before the deadline – we did – that means all your apps and watch faces etc remain. If not, just sign up for a Rebble account and start from scratch. This is not a scary, geeky process – in fact switching to Rebble is very beginner friendly. You’ll need to download the Pebble app, if you haven’t already. Then go to this link on your smartphone to either create a Rebble account or sign in with your linked Pebble account – remember, if you haven’t done this already, it’s now too late to link your accounts. In that case, it’s fine you can still use Rebble – you just need to make a new account. Click ‘get started’ to, you know.. get started. You’ll be asked whether you want to subscribe to weather and voice dictation – if you do you’ll be taken to a page to enter your card details. Then go to this link to switch to Rebble Web Services. Follow the onscreen instructions and press the red button – you may need to quit and re-open the app on Android or wait 15 seconds on iOS. Ignore the orange spinning wheel, it’s all good. And if your Pebble watch disconnected, just re-connect it. Then you’re pretty much good to go, using your Pebble app and Pebble watch as normal. So what can you do? 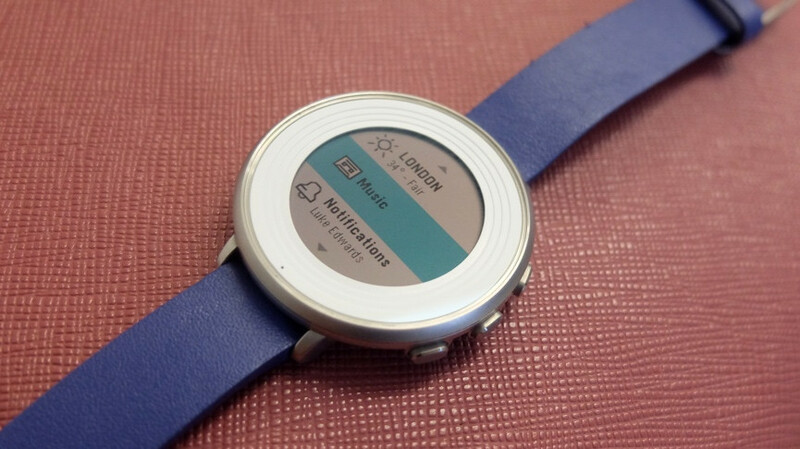 If you have a Pebble smartwatch, to us this is a no-brainer. Sure, it’s not perfect but hey, the basic feature set is free and it’s built from the same community that made Pebble great in the first place. More importantly, from what we’ve seen having set up our Pebble Time Round and used it for a week or so, they’ve done a goddamn nice job. First up, they had to take care of the basics of what a Pebble can do. So once you’ve gone through the first steps on your smartphone, you can set up notifications from your smartphone as usual, Pebble Health activity and sleep tracking and download apps and watch faces from the Pebble store. Notifications via Bluetooth work. Timeline works for things like calendar items but not for third party pins yet. Then there’s the extras that went down for users. So both voice dictation and SMS text replies work on Android – we haven’t had a chance to try iOS yet but this may remain broken for reasons beyond Rebble’s control. Also worth noting: voice dictation is a premium feature that requires a $3 a month subscription to Rebble, which also gets you weather. On that note, weather updates on watch faces like the very popular YWeather by David Rodriguez Rincon… work. Pebble Health step tracking works – it’s not always the quickest to update in real time but hey, that’s a niggle. It’s there. Rebble is also promising firmware updates in the future to keep devices up to date. Here we face what’s one of Rebble’s biggest challenges. What will be really impressive, especially in the face of Fitbit’s efforts with smartwatch devs, is when people start adding new apps to this replacement Rebble app store (via online dev platform CloudPebble/Rebble). Incidentally on the front end, it looks almost identical – it fooled us. So the good news is the fact that previously downloaded apps and watch faces appear in the lockers. You can also download new (to you) apps and watch faces to your Pebble as though nothing had happened, and that’s pretty cool. The dev support for apps in general and features like Timeline pins from third-party apps is still in question. But perhaps if Rebble really does take off, the team will be more incentivised to put the time and effort in. Especially if Rebble can get a healthy base of $3-a-month subscribers and one dev we’ve spoken to suggest it may already have that. Other incoming features include third-party Timeline pin support and dictation on iOS 11. As we say, SMS replies on iOS are unlikely to be available anytime soon as Rebble probably won’t be able to replicate the agreements with networks. So that’s our first impressions. Overall, brilliant effort and bravo. 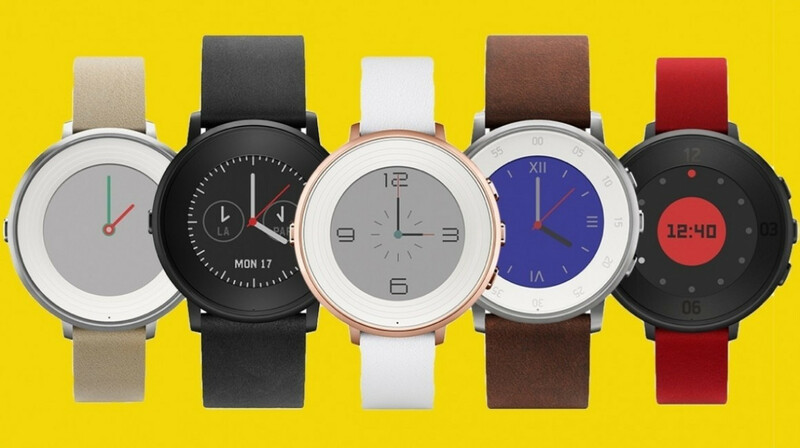 It’ll get you wearing and using your Pebble again. 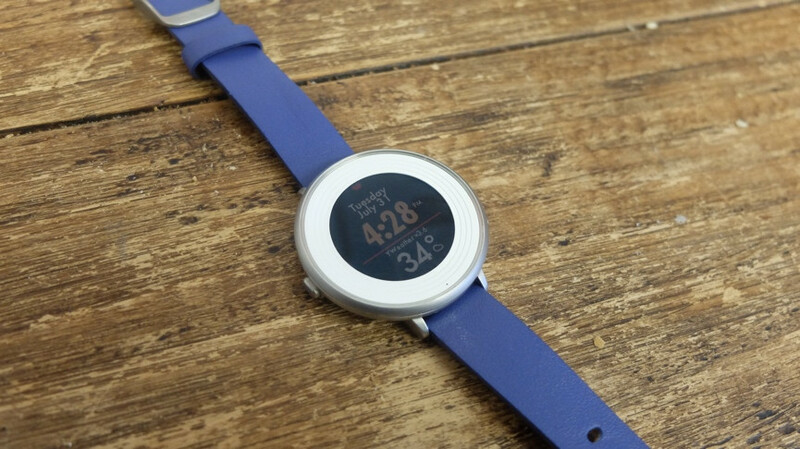 We’ll keep on using our Pebble Time Round with Rebble and update this feature in due course.